Delightfully cool and sugary sweet, your patrons will love this Boylan Bottling Co. 12 oz. cane cola with their meals. A carbonated, sweetened beverage, use this soda to serve customers at your restaurant or sell it at your concession stand. Additionally, this soda comes in a classic glass bottle for a sophisticated, old fashioned look at your venue. Cane cola provides a rich, new flavor profile that will excite your guests and keep them coming back for more. With a flavor blend incorporating orange, lemon, lime, nutmeg, and lavender, this soda has sweet, rich taste that can be enjoyed on its own or as a drink with a meal. This soda is packaged as 6 separate 4-packs, great for impulse buys at concession stands or movie theaters. I wanted to add sodas as a drink option to my menu but I didn't want the big brand names. Customer are looking for unique products now and Boylan makes a great product. Every flavor I have tried and added the menu I have like and the customers love. 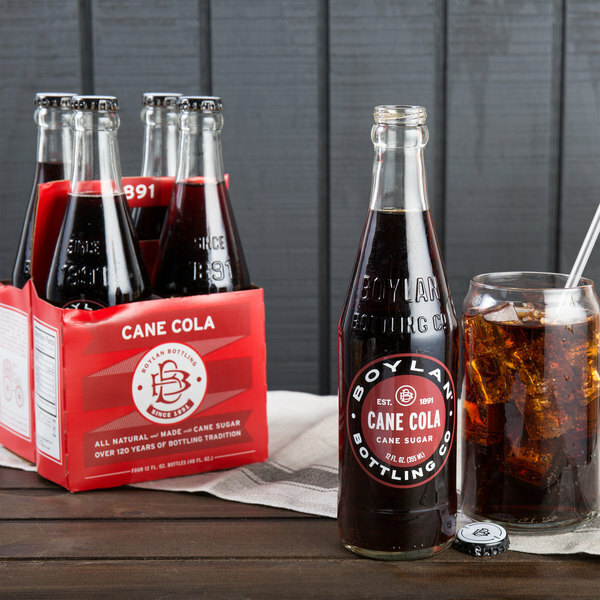 The boylan bottling co. Made a perfect cane cola. It has a great taste and you can tell that it is made with real cane sugar. It just tastes so much better than other colas. And the glass bottle also helps. Gives it a nice fresh clean taste. No plastic or aluminum. This is a great soda. 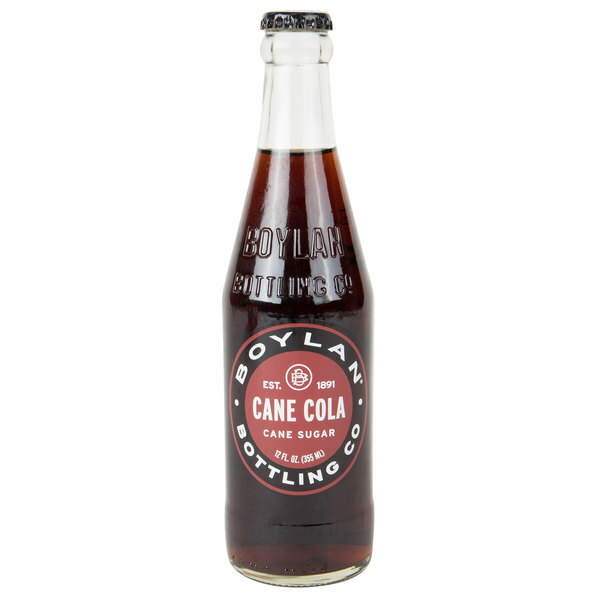 The Boylan Cane cola is amazing in taste and is packaged in a great nostalgic glass bottle. Love the colas for four our sweets shop. 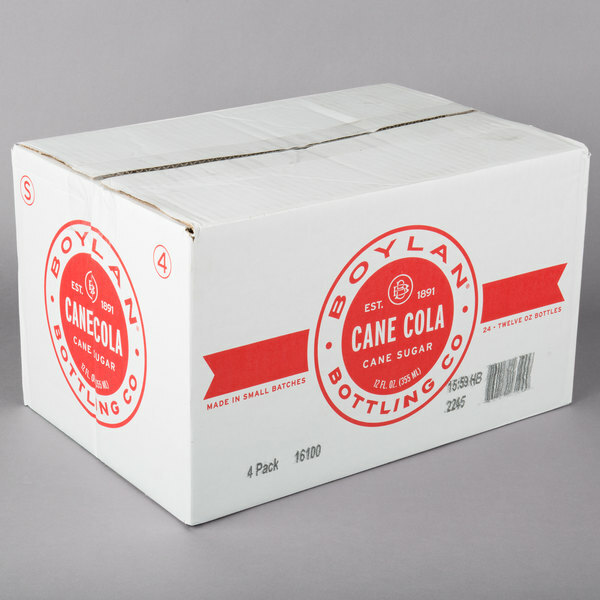 The Boylan Cane Cola taste very old fashioned and is made with same great ingredients they were original created. 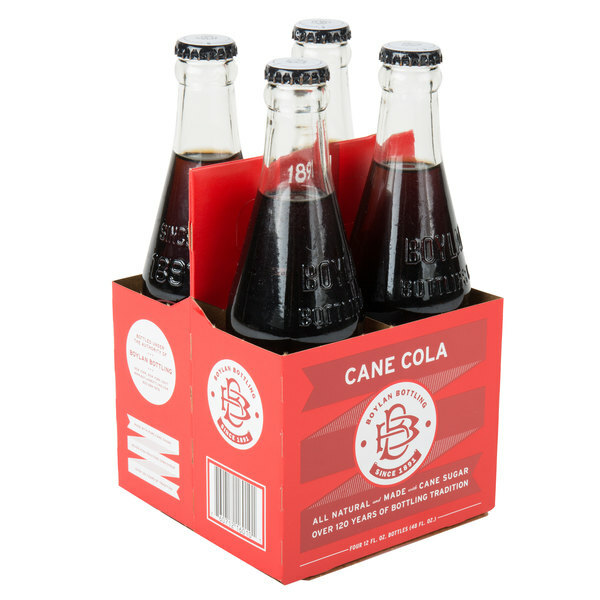 With pure cane sugar, the soda is sweet and has a marvelous taste. 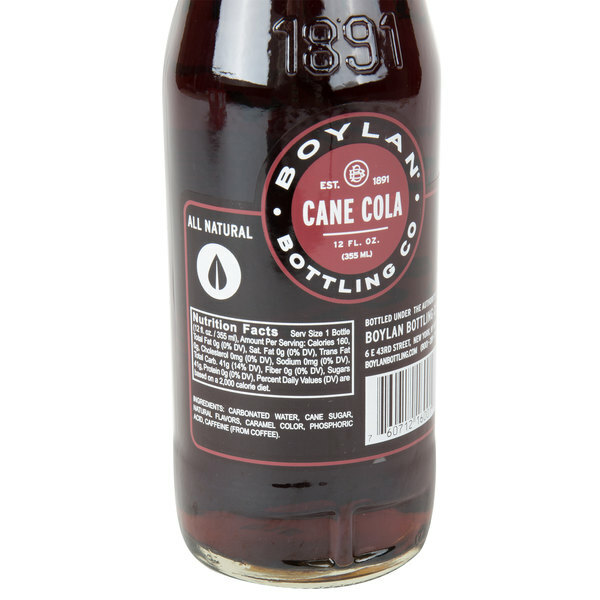 Love the great classic cola taste of the Boylan cane cola. A great old fashioned style bottle and love the great, bold cola flavor of the soda.